A room was constructed in a disused warehouse turned temporary gallery space. The floor of the warehouse had a metre wide trench cut out around the perimeter, but was filled in with earth. A section of the trench was re-dug and a tunnel was inserted. The room was built above the tunnel with no point of entry. 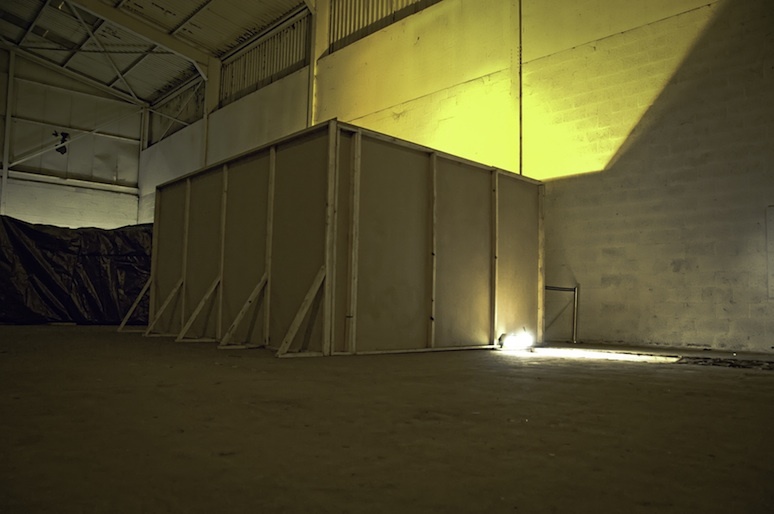 Viewers were met with the sight of a constructed walled space that could not be accessed, light emitted from the room onto the roof of the warehouse and the walls had the joists on the outside, suggesting that there was something on the inside. 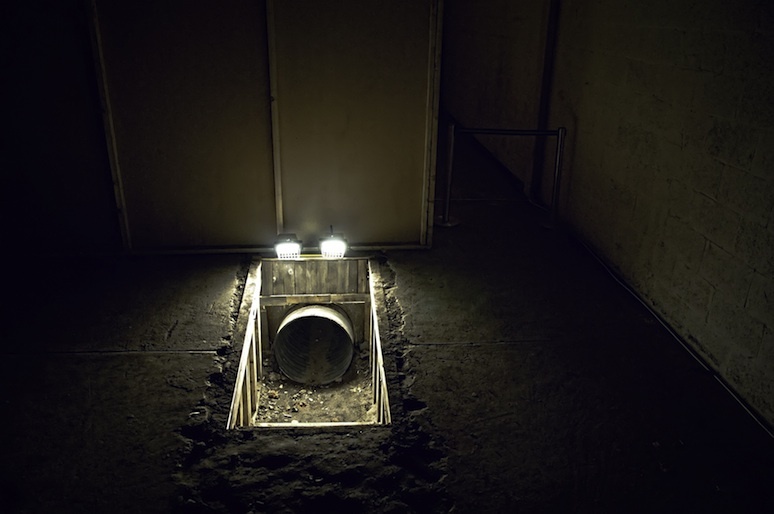 A small tunnel was illuminated which led underneath the room. The viewers, if curious enough, climbed through the tunnel to find that they emerged around the back of the room, which was somewhat concealed on first view of the work. The room could not be entered. 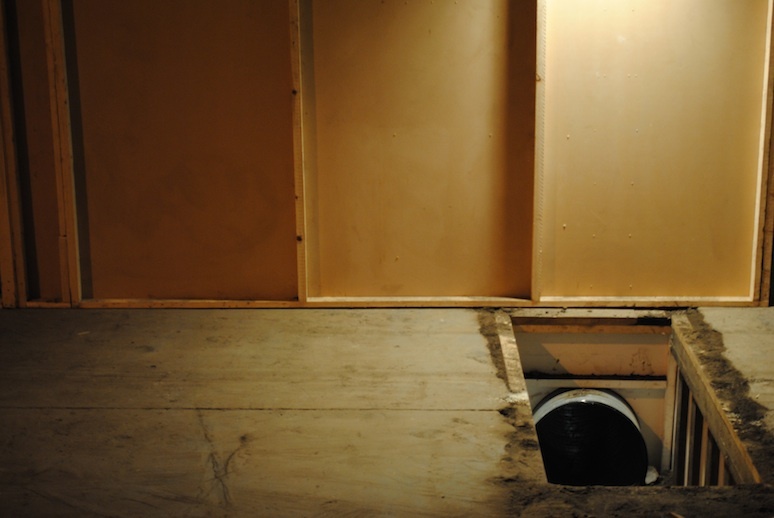 Inaccessible room with tunnel was exhibited in Basic Space, Vicar Street in Dublin for the show, Halfway There in December 2010.